With the kind of schedules we have and the hectic lives we lead, taking care of ourselves seems like a chore altogether. People would rather buy a hot dog or donut on the way to work than spend an hour, meal prepping at night and compromising on sleep. Even if you're managing your time effectively, there are so many things that need your attention on a daily basis that you almost cannot take out time to take care of yourself. This is why people nowadays fall sick so often and have such weak immunity systems. Taking care of yourself has become simultaneous with the term pampering. It's a luxury that very few of us can afford. Keeping in mind the hectic schedules that people have, given below are a few very simple and effective treatments to take care of your hair. 1. You can skip shampooing your hair everyday but you cannot skip using a conditioner. 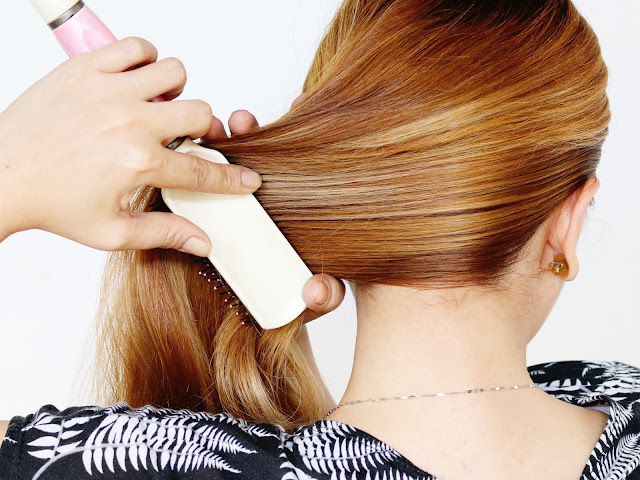 With the amount of dust and grime your hair soaks in everyday, daily shampooing is good, however many hair types are not suited for regular washing and scrubbing. Using conditioner on a daily basis will moisturize your hair. Good quality hair conditioners take care of individual hair strands and enrich it with minerals, vitamins and other building blocks. 2. To get gorgeous locks you can use olive oil. Olive oil has been used for over centuries now and gives hair a lustrous and soft glow. You don't need to do anything much. Just heat half a cup of olive oil in the microwave for half a minute. After that, massage the mixture on your hair and leave it for half an hour or overnight if possible. After that, shampoo your hair with a moisturizing dandruff shampoo and use a very light conditioner. Unless your hair is really dry you must not use a heavy conditioner because it'll leave your hair lifeless and weak. 3. Eggs work wonders for your hair: They come with a long history of restoration for hair and skin. Eggs contain a high protein content which repairs damaged hair fibres and follicles. To use this, beat an egg (or more, depending on how long your hair is) until the whites and the yolks aren't separate anymore. Take the mixture and apply it all over the hair, working it all the way down to the roots. Leave it on the head for about half an hour and then wash it with ketomac anti dandruff shampoo. The good thing about this slightly messy procedure is that you have to use it only once a week. It's very important that you try out a few things at home before you settle for your favourite remedy. Experimenting at home with natural ingredients is not harmful at all, which is why you can keep experimenting until you settle on something you absolutely love. It's also very important that before you go to sleep you massage your hair with your fingers to increase blood circulation in you scalp. This is a simple method to help your hair to stay healthy.